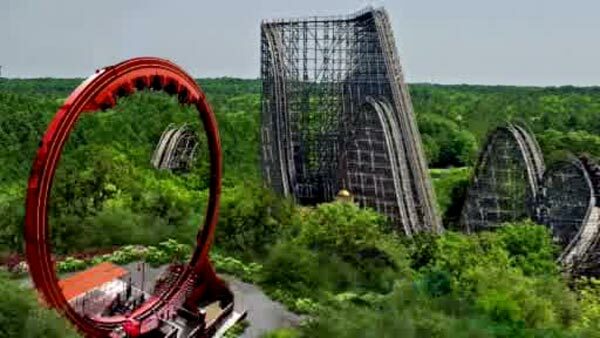 JACKSON, N.J. -- A New Jersey theme park worker who was struck by a lift truck has died from his injuries. The 19-year-old worker was stringing lights near a fountain at Six Flags Great Adventure in Jackson on Friday when he was hit. He was taken to a hospital, where he later died. The worker's name has not been released. No other injuries were reported in the accident. A Six Flags spokeswoman says the park is "deeply saddened" by the death and is conducting a "comprehensive investigation" into what happened. The park features shopping and dining facilities, animal attractions and thrill rides such as Kingda Ka and Nitro.